This post was updated in April 2019 to reflect the most recent data. Underwhelming, I know. But what does that get you? A lot of friends with a similar score, but probably not a stack of acceptance letters. If you’re wondering what GMAT score you’ll need for a top business school, check out this GMAT Scores for Top MBA Programs infographic. To dig further, I pulled the numbers from the US News report on average scores and the GMAT percentiles chart, and then broke them down for you below. The following data comes from the US News and World Report’s 2020 best business school rankings report. The chart shows the average GMAT scores of full-time students at the top 100 business schools in the US, as well as the current percentile rankings of these average GMAT scores. 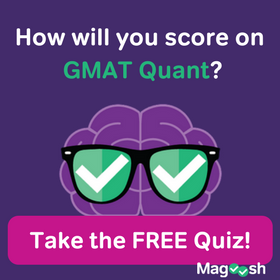 What does the average GMAT score tell you? Not much. As you can see from the chart above, an average GMAT score would put you pretty far outside of the top 100 business schools. A 550 score would most likely be pretty unlikely to gain acceptance at elite programs like HBS, Stanford, Wharton, or Sloan. In fact, there probably won’t be too much room in the top ten, or fifty! Just as an average SAT score couldn’t land you in the Ivies back in those halcyon high school days, an average GMAT score isn’t going to get you into the big dance. Now that you’ve effectively given yourself a mild heart palpitation in an attempt to compare yourself to other MBA applicants, it’s time to calm down and reflect on what should really matter to you. First thing’s first, create goals. You should know what you want out of business school. I’ll wait while you jot those down. OK. Now, spend some time really assessing which schools can help you achieve those goals. Are they top 50 schools? Maybe it’s only a handful of the elite of the elite. No matter what, you can look at the chart above and come up with a good idea of where you need to be. Forget what everyone else is getting and focus on getting a good GMAT score for you. Once you do that, you spend less time trying to figure out what everyone else is doing and more time positioning yourself for the best application possible. Good luck! If you think some programs should be added to the chart above, let me know in the comments below! I am planning to give GMAT coming month. The main concern for me is my undergraduate passing percentage, it was 64%. How much will it affect and how much do I need to score in GMAT If I am planning to go for top-B schools. Assuming you’re from India, having a 64% in undergrad is a little tricky. Most American universities don’t have their own official conversion tables for Indian undergrad performance. However, in real terms, 64% is generally regarded as decent by American standards, especially if such performance is paired with high test scores. GMAT Club has a pretty good post on this. As for getting official word from a university on how your undergraduate work translates into American university admissions, you’ll need to use a credential evaluation company for that. We actually have a relevant article on this on the Magoosh TOEFL Blog. I am planning to give gmat in next month for jan 2018 intake. I have 70%-10, 74%-12, graduation-61%, can u please tell me how much i have to score in gmat if i am targetting top 50 B schools? Mike..what happens if one does well in the gmat but his/her undergraduate scores are not that good. I did a bachelor of business science in Financial economics. It was a highly technical and rigorous program. Can the universities take this into consideration when assessing one’s transcripts? If I have my masters will my undergraduate GPA still be important in applying to business schools or will they look at my graduate GPA? All programs will still require and evaluate your undergraduate GPA in the application process. It’s hard to say how much weight each program will place on either GPA given that each program is different. Regardless, if your graduate GPA is strong, it will be a positive to your application. I have taken a gmat mock test and got 630 marks and i have scheduled my gmat in march 2017. My Academics are low with a %age of marks are 58.6%, 59.2% and 59.6% in 10th, 12th, and graduation respectively. Can you help me with what will be my chances to get into top 50 B schools. I’ll be happy to help you with this, although I’m a little unclear about your grades. Are you saying that you got 59.6% upon graduation from high school, or upon graduation from your undergrad degree at university? If the 58.6%/59.2%/59.6% figures you’ve given are just your high school grades, they won’t be a problem. What MBA programs really care about is your undergraduate university grades. On the other hand, if your bachelor degree grades are that low, you’ll probably have a lot of trouble getting into any B-School. I’m assuming those are your high school grades, though, because most unis won’t let you get a four year degree unless your average is above 70%. Assuming that, your 630 on the GMAT will be the main factor in your acceptance into B-school. With a 630 on the GMAT, it’s pretty difficult to crack the top 50 B-schools. However, there could be some chance if your undergraduate grades are good and you have a decent C.V. in terms of business work experience. I have 2 Years of work experience in one of the India’s best Not for Profit Organization (CII) as an Executive and have over a year Experience in Working at Amazon.com for NA and CA catalog department. I have average scores of 7.05 in BTECH mechanical Engineering and this score is the same through out my career. I am preparing to apply for MBA in International Business in average to good business schools in California. What should be my GMAT score be so as to crack this vision by the Fall of 2017? I have not touched or prepared for the exam since I have started working since 2013. Kindly guide me how much time and effort(devotion) should I spare for GMAT while doing a 9 hour shift. Your guidance will be highly appreciated. Thanks for asking! 🙂 The answer depends a lot on your starting abilities. 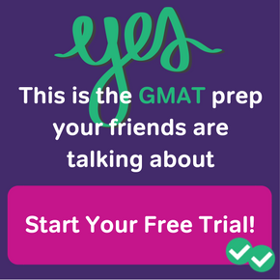 Have you taken a GMAT practice test? This can help you to figure out your current proficiency level and then you can use that information to decide what the best course of action would be. If your mock test gives you a 420 that is a very different set of recommendations than if you get a 680. Take a practice test from somewhere, get that predicted score, and then decide how much time to devote based on how much work you need! I took the GMAT on December 12th,2015 and got a score of 530.I cancelled this score,expecting that the next one would be a good one.After that,i took the exam again and got a score of 670.I want to know if cancellation of the first score would take a toll on my admissions.If so,what is the solution to prove my credentials:7.05 CGPA,3.5 years of work experience in petroleum and exploration. 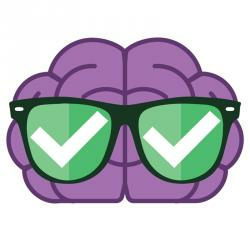 I took my GMAT a few days back and scored a 640 (Q47/V32). I am aiming for fall 2017 intake and I would have approximately 4 years of work experience (in a top Indian IT firm) by then. Also worked part time for an NGO. I am aware of the fact that aiming for the top 20-25 US B-schools is probably a far-fetched thought. Would you be kind enough to help me with my options? Which B schools are reachable with my score/profile? 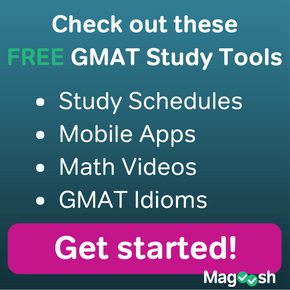 * What is a Good GMAT Score? I have got 50% in my graduation and 640 in my GMAT. Plus I have two years of work experience. Does it really matter if I have low graduation score but a decent GMAT score? What would be my chances if I apply for MBA? Please assist me with this. I’m not sure what you mean by 50% in graduation–is that a ranking among other students or is that your final grade overall? In any case, for an MBA your work experience and GMAT score are very important and your undergraduate scores, while helpful, are not the core components of your application. Write good essays, get a strong GMAT score for that program’s requirements, and make sure you explain how your work experience prepares you for the program–those things will get you into a good program. I have to tell you up front: we know a lot more about test prep than we do about admissions. That said, your friends are right in this case–MBA programs look favorably on work experience. After all, the purpose of an MBA is to develop management and business skills, but this is to be built on a base of prior business experience. It is not impossible to earn your MBA without this work experience, but many programs will tell you that the studies you do with your MBA are not as meaningful without real-world knowledge to attach to it. hope you are fine. I just wanna know what if studying the official guide of GMAT 2015 will be enough to get good scores such as 600-700. Please guide me if further practice is needed and how much time i need to give every day for practicing gmat and which other books will help me? suffice to get a scholarship in a good MIM college in USA. I also have a good profile. My best advice for you would be to contact the programs that you’d like to apply to, and ask your question of their admissions office. In general, universities are very happy to answer such questions. I’m sorry that I couldn’t provide more help. Best of luck with your applications! and have done some technical as well as other curricular certifications. I want to get into the top business school for MIM. How much GMAT score should I aim for and also should I appear for TOEFL. Getting into a top business school (especially a top 100 business school) requires a strong resume plus an above-average GMAT score. The average GMAT score (2014) is 545.6, and to get into a top 100 business school you need to score at least above 600. For more specific information, I would recommend looking at the programs that you’re most interested in attending, and then researching the average GMAT score of the most recently admitted class. The program’s website will have this information, plus it will tell you whether or not a TOEFL score is required for admission. For most programs in the United States, a TOEFL score is required, but sometimes there are other options for proving your fluency in English. Good luck as you study for the GMAT, and congrats on aiming for a top school.